Rates on force until the 31st of May 2019. Tariffs valids until 31st of May 2019. 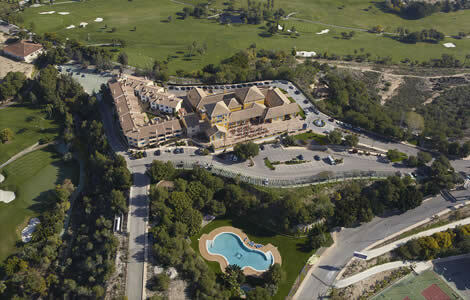 All members must be Federated at the Spanish Golf Federation. The Social Club, with a surface area of 2,800 sq m at 130 m above sea level in the heart of the golf course, represents the core and symbol around which the whole complex takes shape. Renowned architect Mr Juan Ligués Creus managed to incorporate the essence of the surrounding Dehesa de Campoamor, thus designing an imposing space. Its unusually high and luxurious cherry-tree wood-panelled ceilings, the granite paving and large windows —which ensure stunning views of the sea and the golf course— as well as its imaginative and meticulous decoration, turn its large rooms into utterly sublime spaces. Right at the Social Club are the Administration Department, the sports goods shop and the golf reception desk where you will be able to take the necessary steps in order to enjoy the resort.